Namaste and welcome to our website for Buddha Treks and Expedition. In an internet filled with many trekking companies to choose from, we are honored that you are taking the time to look at ours. Buddha Treks & Expedition has 15 years of experience serving trekkers and visitors to Nepal. I personally have over 20 years of experience, having started out as a trekking guide before eventually becoming a company owner. There is something about being born in the High Himalayas that brings us close to the lands of Nepal. I was born in a tiny little village of Shaping in Kabhreplanchok northeast of Kathmandu. Our village is on the traditional route to Mt. Everest where Sir Edmund Hillary would have passed nearby on his epic 1953 journey to the top of the world. The mountains and hills of Nepal is our home. Each day, we woke up to gaze upon the mighty snowcapped peaks that form the roof of the world. It is these mountains and villages that I would like to show to you. Buddha Treks & Expedition offers you fully personalized service. We know and understand the climate, culture, flora and fauna of the Himalayas. It is that intimate knowledge that separates us from the others in the travel and trekking field in Nepal. Please take some time to look over all we have to offer. 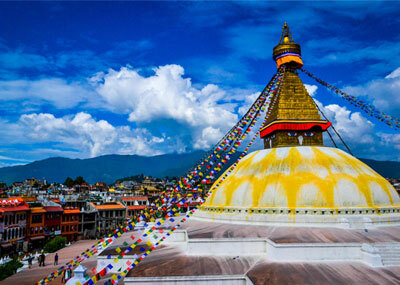 We also do cultural tours as well as offering volunteering opportunities in Nepal. We love showing off our homeland in the best possible light, helping you to make new friends here in the remote areas of our country. Don’t hesitate to write or call with questions or comments. I personally love hearing from you. I know that we will quickly become friends. That’s what has happened to all of our clients. We soon become friends, because of our hospitality and personal service that is just standard practice with Buddha Tours and Expedition. Thank you for looking at our website for Buddha Tours and Expedition. I look forward to meeting you in person on your next trip to Nepal.